Uber and Ola have been slugging it out on Indian roads for years now, and while Ola’s been leading the charge in most cities around the country, Uber’s trying its best to catch up. In an effort to do just that, the San Fransisco-based cab aggregator late last year launched UberPASS for select riders in four cities, with the promise of flat fares with no cancellation fees or subscription charges. It’s currently live for riders in seven cities – Delhi, Bengaluru, Mumbai, Hyderabad, Pune, Kolkata and Chennai. 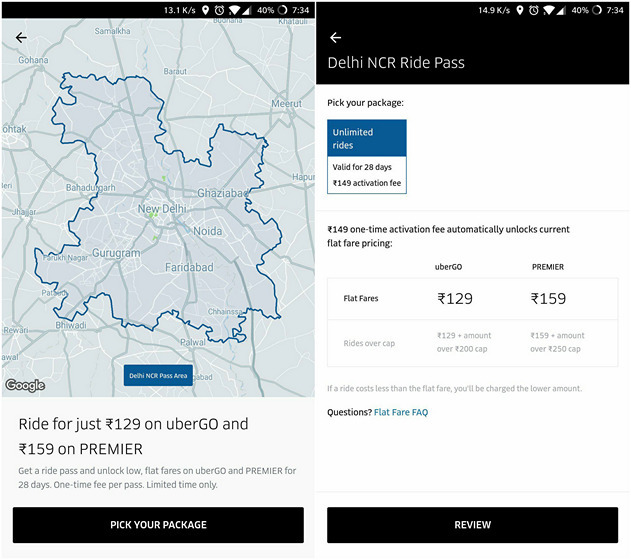 Uber says the new ‘Ride Packages’ feature, which was first rolled out in Bangalore last year, is an “enhanced” version of UberPASS. 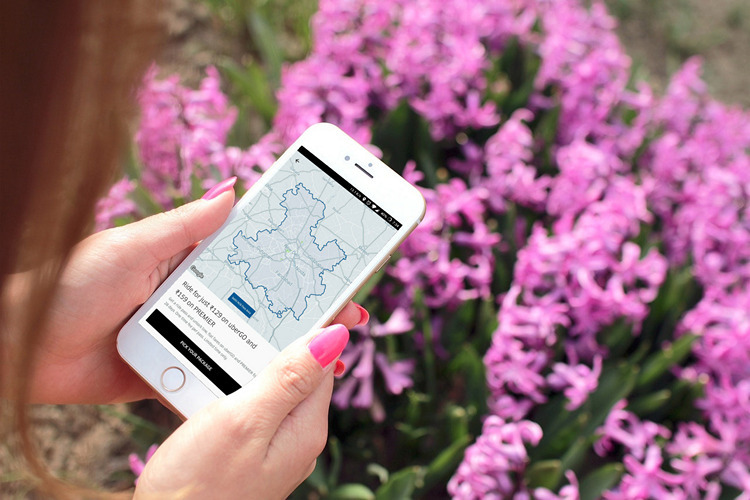 Flat fares as part of Ride Packages will apparently vary slightly from one city to another. In Delhi, fares will start at Rs. 129 for UberGO and Rs. 159 for UberPREMIUM. For Mumbai residents, flat fares on UberGO rides will be slightly cheaper at Rs. 119, although, UberPREMIUM rides will still be charged at Rs. 159. One thing to note here is that unlike in the other six cities where Ride Packages will be applicable to both UberGO and UberPREMIUM, riders in Chennai will only be offered flat fares on UberGO. Uber has also clarified that flat fares won’t apply if the regular fare is lower, so you’ll be charged the lower fare come what may. Strangely, though, Paytm seems to be the only payment option at the moment, so if you’re planning to use cash or credit/debit cards, you’re out of luck. Another thing that strikes a bit of a sour note is Uber’s insistence on levying ‘wait time charges’ and ‘surge prices’ over and above the quoted flat fares unlike Ola’s SharePass services. From the point of view of a regular user, it kind of defeats the very purpose of flat fares, which should ideally be set in stone as long as the pickup and drop-off points don’t change. 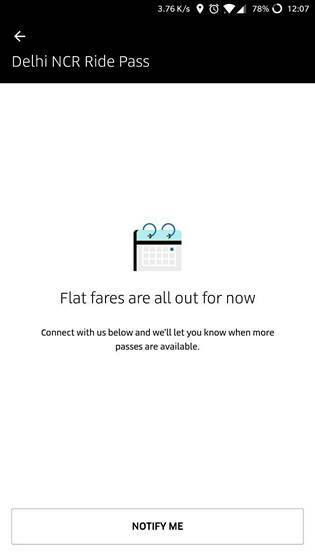 Also, another thing we’ve noticed is that there seems to be only a limited amount of passes allocated throughout the day, which is why you’ll often get messages like the one below when trying to apply the flat fare. Either way, it’s nice to see that Uber is trying its best to expand its market share in India, but it remains to be seen how long it takes for the company to roll out the service to all riders around the country.